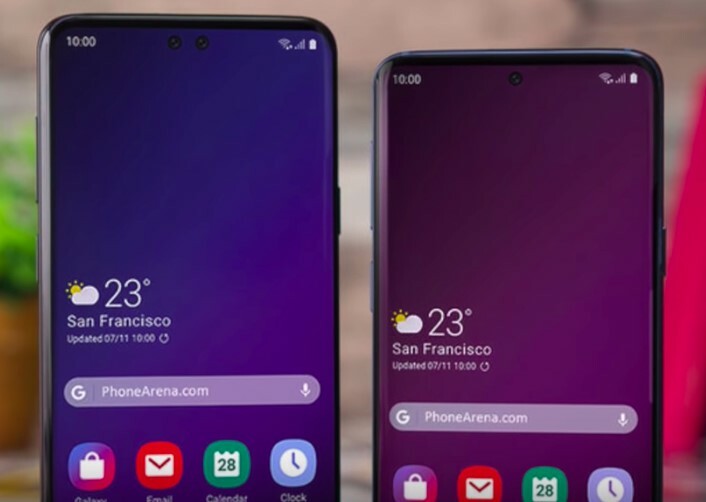 A new report says Samsung will launch a special edition smartphone on their 10th Anniversary next year, it will be the upgraded Galaxy S10 variant and will feature six Cameras, two at front for selfies (dual camera) and four at back (quad camera) a report claims, this handset is being developed under the codename Beyond X. The earlier rumors says that Samsung will reveal the new Galaxy S10 smartphones in Feb 2019.
the fourth one will be the Galaxy S10 5G (Beyond X) that will unveiled later, unfortunately it is said that this variant will be limited to just the US and South Korea. A week back Samsung had unveiled the chipset that will have 5G support named Exynos 9820 SoC, it will be used in Galaxy S10 variants except in the US and Korean units that could come with the Qualcomm Snapdragon 8150 Mobile Platform. Though the Galaxy S10 5G variants could sport Snapdragon chipset instead of Exynos 9820 SoC. Till now there is nothing revealed on the pricing and availability of the Samsung Galaxy S10 5G. The first three variants will be unveiled in February next year, while the 5G variant and the Galaxy foldable phone will be revealed in March. Comment below your thought on Galaxy S10 variants and Stay tuned with Alloftop for more updates!